Walkers enjoying the Hudson River overlook along the recently expanded Hyde Park Greenway Trail. Photo: Robert Rodriguez, Jr.
HYDE PARK, Dutchess County (72 acres)—Much of the fun of this place is getting there, following a 1.85-mile trail that begins at Mills-Norrie State Park in Staatsburg. Since the trail avoids more popular portions of the park, there’s good likelihood you’ve have it—and its extraordinary natural features—all to yourself. 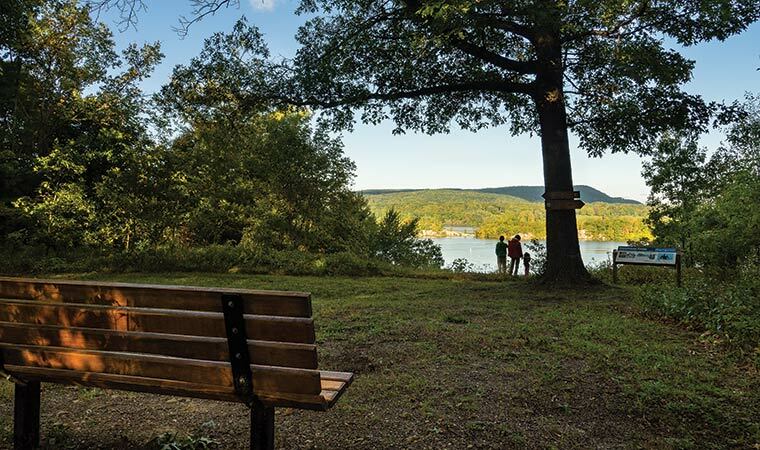 The relatively easy walk passes through a peaceful, wooded ravine and crosses a small but pleasantly noisy stream before ending at the overlook affording magnificent views of the Hudson River and Esopus Island. (A kiosk explains the island’s interesting past and current ecological importance.) Scenic Hudson protected the land surrounding the overlook, a former summer camp. We also partnered with the Hyde Park Greenway Trail Committee, Winnakee Land Trust. 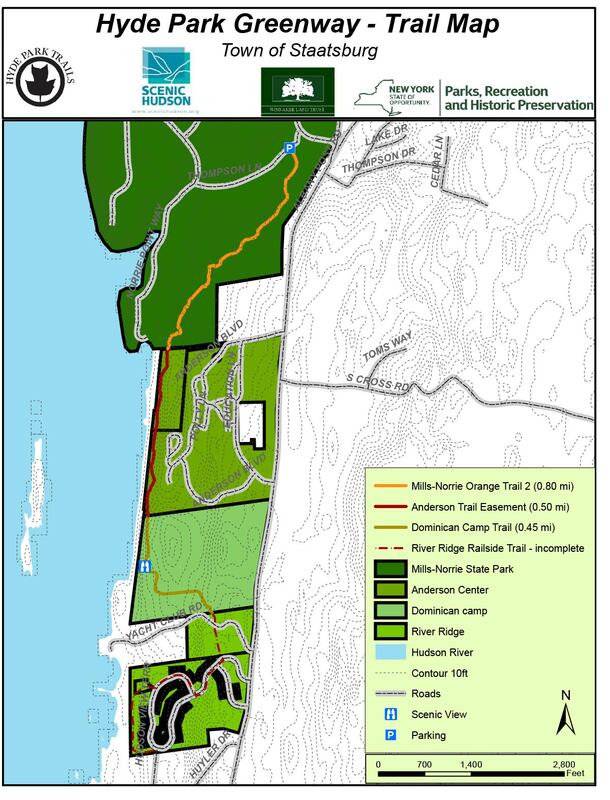 Town of Hyde Park, New York State Office of Parks, Recreation and Historic Preservation and many volunteers to develop and build this vital link in an envisioned trail connecting the Mid-Hudson and Kingston-Rhinecliff bridges. Year round, dawn to dusk.